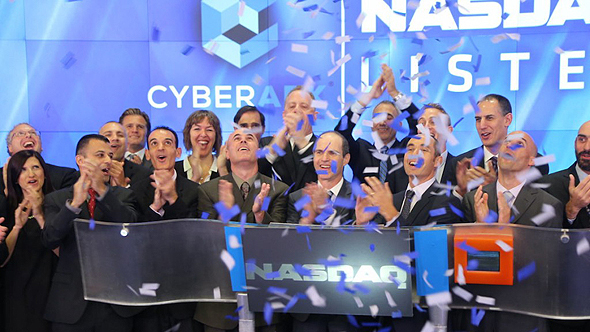 Information security company CyberArk Software Ltd. has closed 5.74% up on Nasdaq on Wednesday following the publication of its third-quarter reports for 2018 and is currently up as much as 15.76% in pre-market trading. CyberArk provides digital security services to many of the world’s largest corporations, including accounting firms Deloitte and PwC, and car rental company Budget. The company has headquarters in central Israeli city Petah Tikva, U.S. headquarters in Newton, Massachusetts, and additional offices throughout the Americas, Europe, the Middle East, Africa, Asia Pacific, and Japan. The company reported record revenues of $84.7 million, a 31% increase year-over-year; a GAAP operating income of $8.8 million, compared to $1.7 million in the third quarter of 2017; and a GAAP net income of $8.1 million, or $0.22 earnings per share (diluted), compared to a GAAP net income of $1.7 million and $0.05 EPS (diluted) in the third quarter of 2017. The company had $410 million in cash, cash equivalents, marketable securities and short-term deposits at the end of the third quarter of 2018. CyberArk forecasts its total revenue for the fourth quarter of will be in the range of $94.75 million to $96.25 million. The company raised its total revenue outlook for the full year to the range of $328.9 million to $330.4 million, from the $320.0 million to $324.0 million it forecasted last quarter.